Lyrics: Majrooh Producer: Filmistan Pvt. Ltd. Lyrics: Bharat Vyas Producer Rajkamal Kalamandir P. Ltd. Lyrics: Rajinder Krishan Producer: Filmistan P. Ltd. Lyrics: Majrooh Producer Nasir Husain Films Pvt. Ltd.
On Classics' Revival CDs and Cassettes, yon hear the classics as they were meant to be heard, or specifically as the music director intended them to be: But couldn't accomplish in those times due to the limitations in recording technology. As a result, the instrumental interludes sound subdued. 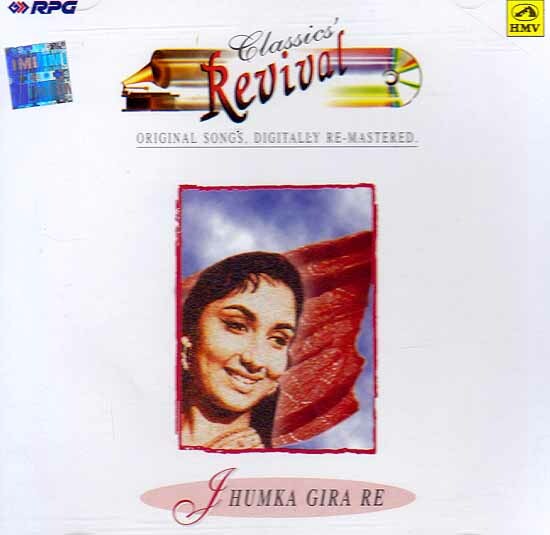 Now on 'Classics' Revival' it’s as if Madan Mohan or O. P. Nayyar or Shankar Jaikishan have re-recorded their original compositions in a modern studio using the latest technology. On 'Classics' Revival' there are no scratches or hisses that old recordings generally have. Here the sounds are rich, full and clear. That is because, at Classless Revival, music technicians have painstakingly re-recorded the original music, using the original instruments and the original composition. This was then carefully overlaid with the original voices of the great singers. That '$ Classics' Revival! Now you can hear the bright interjections of the cymbals, the rich sweep of the harmonium or the vibrant notes of percussion. All on stereo. Rich and glorious. As if everything was recorded here and now. As if the greats have been transported into modern times to create music for you - the true devotee of Hindi film songs. Classics' Revival - Hear the classics as they were meant to be heard.